This is my third post about MDT Monitoring. 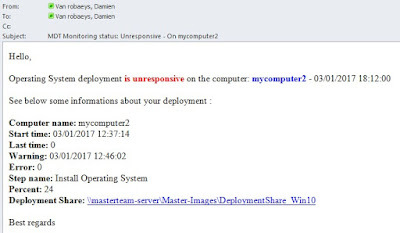 I will show you a way to monitor your deployment from a client computer and send an email in case of deployment success or error. Can be used on any Windows 7 or Windows 10 computer. 3 / Once you have typed the computer name, let the script work. 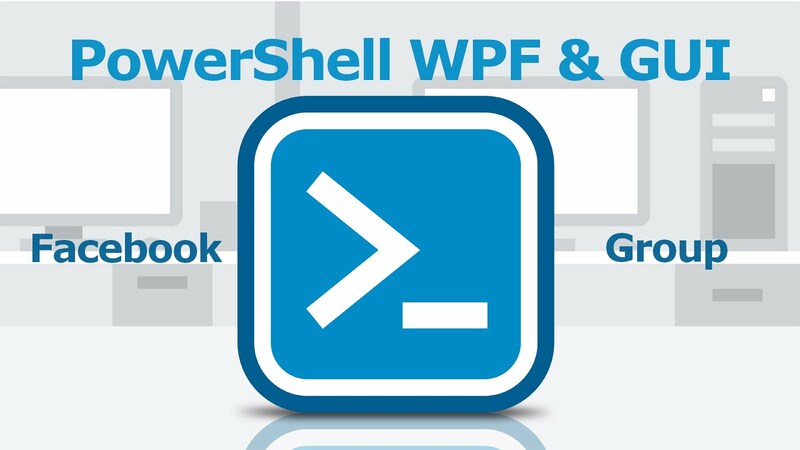 Don't close the PowerShell window, the script will analyze yout deployment. 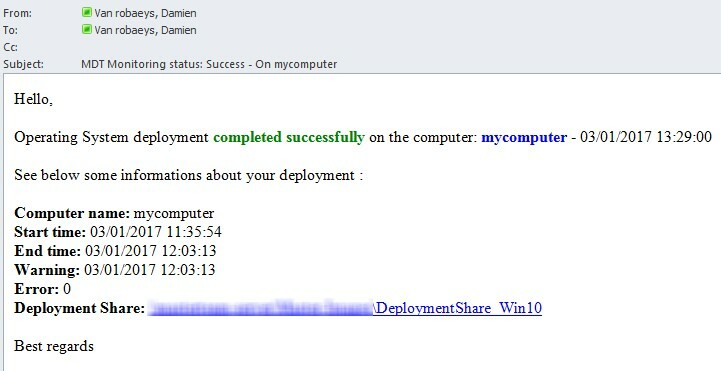 If the deployment failed, you will receive one of the below mail. 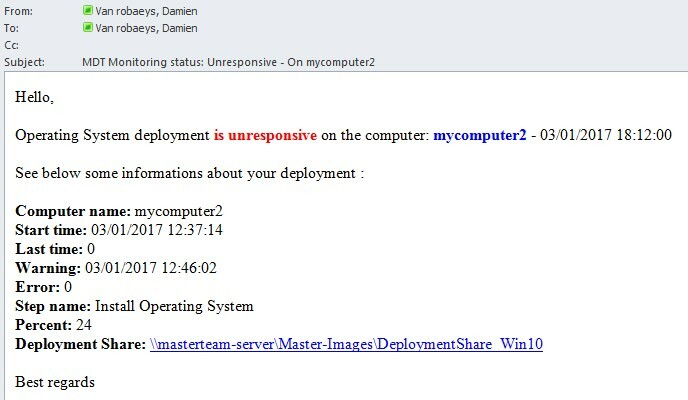 As explained in my previous post, if the deployment dooesn'tt answer for the four past hours, deployment status will be set to 4 meaning Unresponsive. 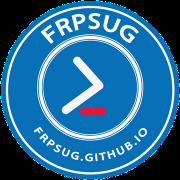 First, you will need to complete the Monitoring_infos.xml file. 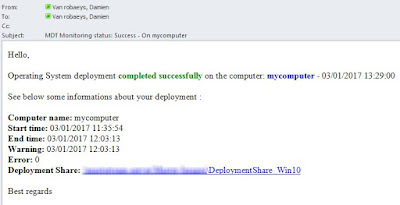 Type your Deployment Share path and MDT module paths. 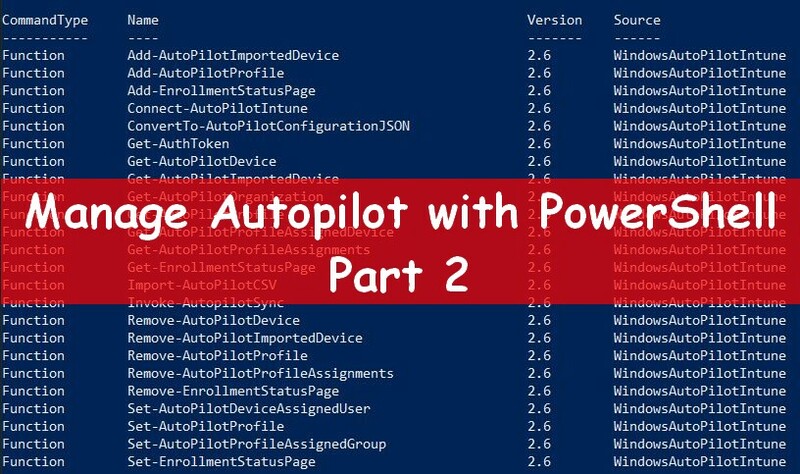 The MDT module should be the path to the MicrosoftDeploymentToolkit.psd1 file. By default this file is located in C:\Program Files\Microsoft Deployment Toolkit\Bin. See below an exemple of this xml file. See below the main PS1 script, Monitoring.ps1 that will analyze your deployment.